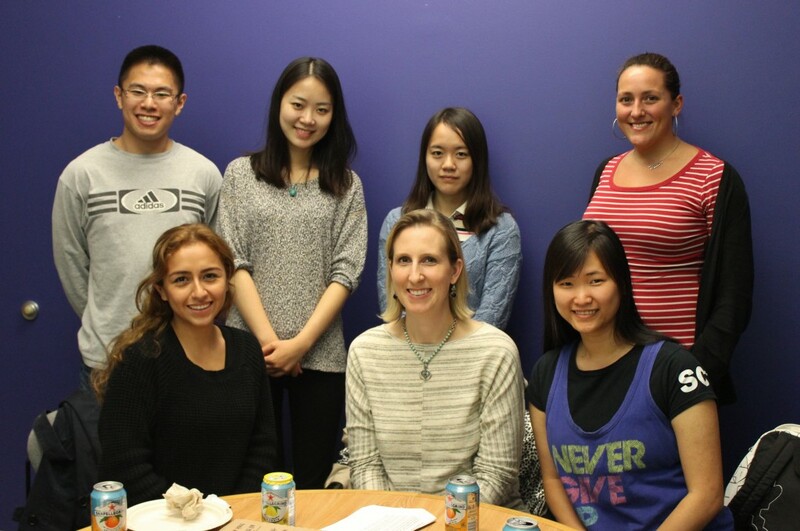 Alyson Teeter-Baker (front row in the middle) mentors students in CMU 102E. The Department of Defense Constituency Coordinator for U.S. Senator Patty Murray, Alyson Teeter-Baker (B.A., 2002) visited for lunch and to mentor students, pulling from her experience as a Communication and Political Science graduate who has served in the military and held public relations positions at various companies before joining Senator Murray’s team. Always be curious and seek out more knowledge – don’t limit yourself. Find a mentor or person with a good skillset to get feedback from. For example, if you want to improve your writing, find someone that can help you develop that skill. In an interview, learn how to convey your passions and be enthusiastic about the job you’re applying for. It’s important to do what you’re passionate about. If you don’t like your job, do something else. The skillset you gain in the military can be very different than what a job requires in the civilian world, even if they both involve PR. Upon exiting a military job to search for a civilian job, you may need to set the bar a little lower in order to qualify for the job, but you will most likely promote faster once you build that civilian skillset. Alyson M. Teeter-Baker’s full bio: Alyson is the Department of Defense Constituency Coordinator for U.S. Senator Patty Murray (D-WA). Hired in 2011, Alyson responds to queries from veteran and active duty constituents, addresses their concerns and trends with federal agencies, and performs outreach with statewide veterans’ stakeholders and organizations. In addition, she manages Senator Murray’s military academy nomination program. Alyson still serves in the military and is the Inspector General for the California Air National Guard’s 129th Rescue Wing located at Moffett Federal Airfield, California. Prior to 2013, she was the wing’s public affairs officer and supported numerous state emergencies, ranging from wildfires to hurricanes. Before serving in the Air National Guard, Alyson was an active duty Air Force public affairs officer, and her duty assignments included tours with Air Combat Command at Langley Air Force Base, Virginia and 7th Air Force at Osan Air Base, Republic of Korea. She commissioned into the Air Force through the University of Washington’s Air Force Reserve Officer Training Corps (ROTC) program in 2002 and graduated with a B.A. in Communications and Political Science.